Catechists can be given the book The Catholic Way to Pray, shown in the "Spirituality" section of this site. Catechists are responsible for teaching prayer. 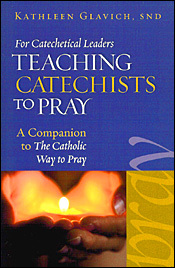 This book provides DREs with abundant suggestions for teaching catechists how to teach a variety of prayer forms. In the process the catechists will deepen their own prayer life. Each chapter includes a list of activities to help catechists teach prayer. 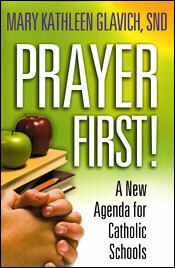 For anyone who would like more confidence or fresh ideas in teaching prayer, this book is a great resource. It explains prayer and its different forms, suggests ways to create "a culture of prayer" within a school, has a glossary of prayer words and offers loads of samples. 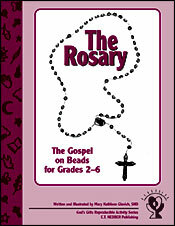 The book is not limited to Catholic schools but can also serve PSR and home school programs. This book originally appeared as the popular books Miracles and Parables and Acting Out the Gospels. 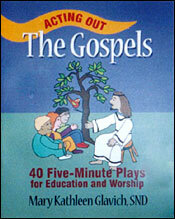 Key Gospel events are in the form of short, easy-to-stage plays. Each play is accompanied by Background Notes about the event, directions, recommended props, and questions for before and after the play, a follow-up activity and a related prayer experience. They are perfect—educational and enjoyable—for any kind of faith formation sessions. This makes an excellent textbook for a religion methods course. This book covers all aspects of teaching religion: preparing a lesson, good discipline, using Scripture, prayer, stories, music, drama and writing; review games, discussions and more. It offers hundreds of practical tips. Angels were active in the early Christian Church. 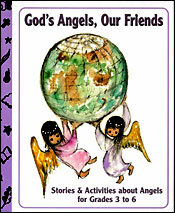 Through a variety of activities that children love, this blackline master book explains who angels are and what they do. It contains stories about angels who appear in Scripture and in the lives of some saints and also teaches the prayers to angels. Olive trees still grow where Jesus endured his agony in the garden. 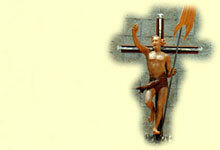 Key terms related to Lent and the Holy Triduum are presented in alphabetic order. The children learn about them through puzzles and other fun activities. The pages contain pictures that can be used to make an Easter tree. In addition to an introduction to the Holy Bible, almost fifty stories from the Old Testament and New Testament are told and reinforced through games and puzzle that children love to do. The Rosary, which Mary encouraged us to pray when she appeared at Lourdes and Fatima, is making a comeback today. This book introduces children to this powerful prayer. They are taught how to pray it, when, and why. Each of the twenty mysteries (including the new Luminous Mysteries) has a page devoted to it. The book can be used as a workbook, or the pages can be duplicated. At the back of the book are flashcards for a game to remember the mysteries and their order. The book contains a wealth of activities that intrigue children: crossword puzzles, connect the dots, hidden pictures, word searches, scrambled words, coded words, and other puzzles. This book is Sister Kathleen’s first. 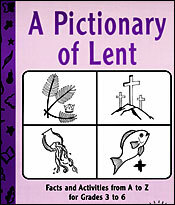 In 1987 the Catholic Book Awards judged it "Best Book" in the category of educational books. 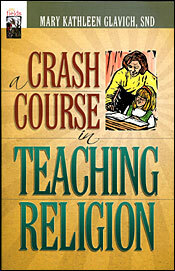 It continues to be a staple for anyone teaching religion. This book is jam-packed with practical suggestions for teaching Scripture. Each of the 30 chapters presents a general method, which is illustrated by abundant activities and examples. The ideas are applicable across all age levels. Some chapter titles are "Personalize Scripture," "Delve into Symbols," "Create Scriptural Art," and "Write on the Word of God." Teachers of catechetical methods courses love this book. Each of the twenty-six chapters in this book presents a prayer topic for a letter of the alphabet. 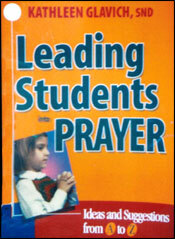 The result is a treasury of insights and ideas for teaching prayer to students of all ages. Many practical activities are suggested for helping students understand prayer, learn about the forms of prayer, and actually pray. Some chapter titles are "Biblical Prayer," "Centering Prayer," "Family Prayer," "Qualities of a Good Pray-er," and "Universe as a Springboard for Prayer." A 29-page appendix provides material that can be duplicated to carry out the ideas suggested. 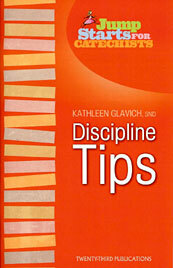 A video version of this book called ABCs of Discipline is available. For information click here. A handbook on discipline for all teachers, this book is a collection of concepts, strategies, and suggestions that contribute to a well-disciplined classroom. The ideas and examples have been gleaned from years of personal experience in schools. Some areas covered are the environment, preparation, variety in activities, attitudes, rules, and respect for the students. Each chapter ends with reflection questions for the reader. Both new and experienced teachers profit from reading this book. 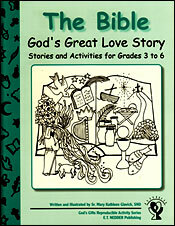 These booklets make a nice beginning-of-the-school-year or Christmas gift for catechists. 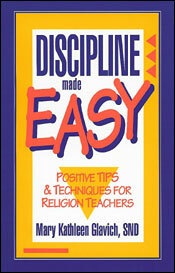 This book, part of the "Jump Starts for Catechists" series is a condensed version of Discipline Made Easy. The key ideas for creating and maintaining good classroom discipline are presented in a simple, less expensive format. It’s ideal for new catechists. The idea for this book came from a fifth-grade PSR class. Sister Kathleen bribed the children to give up their 15-minute recess in the middle of class by letting them put on plays instead. People enjoy putting on plays. This book contains reproducible playlets of events in Jesus’ life except for miracles and parables (which are in another book). The Leader’s Guide for each playlet contains background notes, times for use, cast and props, questions for before and after, and a prayer. A chart correlates the plays with Sunday and feast day Gospels. Unavailable, but see Gospel Theater for the Whole Community. This is Sister Kathleen’s most popular book. 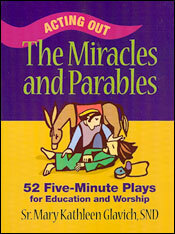 Every miracle and parable in the Gospels is presented in this book in the form of a play that can be easily copied and distributed to students. Acting out the stories makes them more memorable . . . and makes lessons more enjoyable for the children and teachers. The plays are based on the New American Bible. The book begins with an explanation of miracles and parables. It ends with a Director’s Handbook that gives tips for putting on the plays and for each story provides cast listing, props, themes, comments, and points for discussion. Out of Print. Copies available from Sister Kathleen. 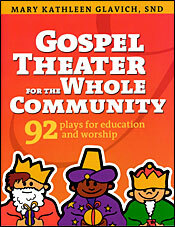 See also Gospel Theater for the Whole Community. The plain box this kit comes in is misleading considering the beauty and quality of the program within it. This box for grades 6 and up contains cards that tell the story of Jesus’ life and have information about people and things related to him. Art and photos on each card are striking. After a clear, interesting explanation of the card’s topic, there are suggested related activities. Among other things, the cards cover titles of Jesus, events in his life, his teachings and parables, his apostles, prayers to him, and Palestine during his time. The cards are appropriate for home-schoolers and RCIA groups as well as for group and independent work in classroom settings. 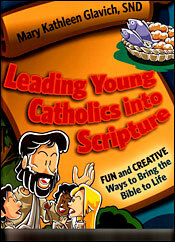 Originally the book was for junior high students and titled "Handbook for Catholic Youth." 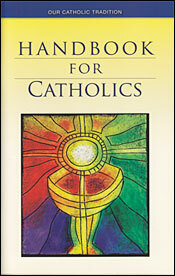 It became so popular in RCIA programs that its title was changed to "Handbook for Catholics." This modest little booklet has become a bestseller. It contains essentials of the Catholic faith: prayers, the rosary, salvation history, church history, the sacraments, an examination of conscience, the Holy Land and lists of the commandments, beatitudes, works of mercy, precepts of the church, virtues, gifts and fruits. These books are part of the high school religion program originally written by Michael Pennock. This text is intended for senior high students. It is a thorough, practical overview of the states in life that are open to them: ordained, religious, single and married life. In connection with marriage the topics of love, sexuality, dating, marriage preparation, commitment, and family life are treated. The book concludes with a chapter on faith in the workplace, which includes choosing a career, finding a job, and living by Christian values. Each chapter ends with review questions and selected vocabulary. Assignments and reflection questions are in the margins of the text. The manual suggests teaching methods for the course. For each chapter it has a focus statement, a brief overview of the material, correlations with the Catechism of the Catholic Church, a bibliography, and five lesson plans. It suggests audiovisuals and gives helpful teacher notes. Blackline master activities for lessons are also in the manual. A computer disk with the manual contains material from the text and manual such as resource pages and a testing program. Users may wish to laminate the cards to make them long-lasting. This attractive box of cards contains the lives of Catholic heroes from the past 2,000 years. For most of the saints of the Roman calendar there is a 6 ½" by 9" card with a picture, a biography, and activities related to the saint’s life. As soon as the Saints Kit appeared, it was a hit with schools and libraries. The cards can be used to teach about the saints, as a reference, and to help Confirmation candidates choose their names. An earlier version of this book is still available for $9.95. It doesn’t include the most recent saints, and the activities aren’t blackline masters. This book by Sister Kathleen and other Sisters of Notre Dame is related to the Saints Kit. Whereas the kit is geared to students, the book is written for adults to use in religious education. It includes more recent saints than the Saints Kit. At the back of the book are blackline masters to be used for some of the suggested activities.